← Are You Social Networking Enough? I just finished putting together this portable closet from The Container Store. It’s great for storing clothes and it took about 20 minutes to assemble. The protective cover is fantastic for protecting your clothes from dust and there is plenty of storage space at the bottom for shoes or misc. items. If you are limited on closet space consider purchasing one. They’re great for storing out of season clothes too. 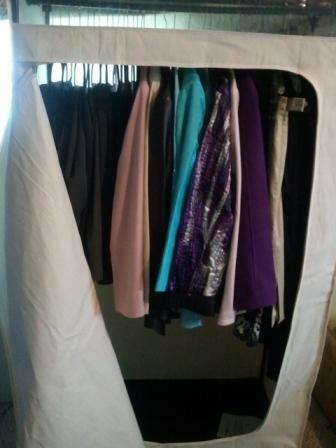 This entry was posted in Residential Organizing and tagged Closet Organizing, Clothes, DIY, Organizing Products, Storage. Bookmark the permalink.